This is rare novel grabs you and won’t let go. Fiction based on truth. The laws exist. The characters do not. Köhler’s own background also offers layers of both sweetness and sadness, dusted with unfulfillment. Love. Relationships. They wind and unwind in twisted strands throughout the book. The problem stands as impenetrable as a stone wall, but even a wall, if you look closely enough, is marred by cracks and fissures. They spread in all directions. But, time grows short. And yet, there are always more cracks and you soon realize eventually you will reach something sturdy. No. The Collini Case rests on cold, solid facts and its telling will enthrall you and strain your confidence in right and wrong. The historic City Market sits on the peninsula that cradles the oldest section of Charleston, South Carolina. When I say historic, I’m not kidding. The market’s on the U.S. National Register of Historic Places and also designated as a U.S. National Historic Landmark. The official name is Market Hall and Sheds, the sheds being the brick buildings strung out for over a thousand feet behind the hall. Big deal, right? Seen a enough old buildings and historic markets to last you a lifetime? Don’t be so quick! History is not the main reason I race to the market area every time I visit The Queen City. True, the place carries the patina of the centuries, but the real reason I crave a visit is that the old City Market is just plain interesting and fun. Forget this date and that date and who slept where, blah, blah, blah. Go for the great food, drink, shopping, all in surroundings you will find few other places. I mean that truly. It’s one of very few old U.S. market complexes still surviving into the 21st Century. More than surviving. It’s thriving! The reason ain’t the old bricks! Anyway, old is a relative term. Although the Sheds went up in 1790, and the Market Hall in 1841, this place has had more facelifts than an aging Hollywood harlot. Wars, hurricanes, tornadoes did their best, but the old lady is back stronger than ever. The last devilish torment by Mother Nature came in 1989, when Hurricane Hugo slashed the entire city and tore the roof off Market Hall. Many visitors think the City Market was once the slave market. Not so. Started out as a beef market, then morphed into produce. Back in 1905, commerce dropped off enough that the city fathers wanted to tear it down and open a public bath. Today, the sheds stung out behind Market Hall hold artisans of every variety, as well as snack shops, restaurants, and jewelry stores. 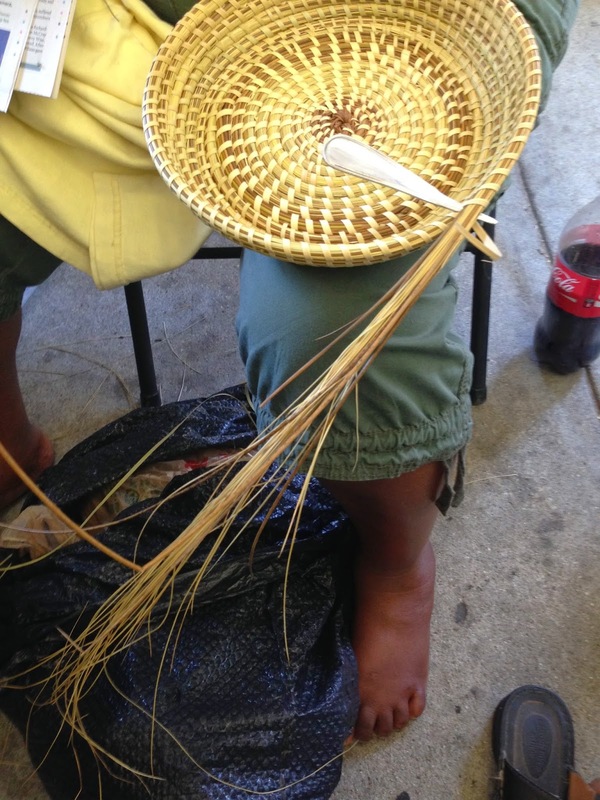 Of special note are the ladies making and selling sweetgrass baskets. These Gullah specialties date from when the baskets were used for winnowing rice, to get rid of the chaff. Yes, there were rice plantations here in the Carolinas, employing throngs of slaves. In the south, cotton was king, but a host of other crops, such as tobacco, indigo, rice, fruits and nuts have always been cash crops. Quick! Which State currently produces the most rice? Read on. Back to the market itself. Market Hall has been so many things over the years. During the Civil War, also known as the War of Northern Aggression, the hall was a recruitment office. The upper floor (since 1899) has been a museum, owned and operated by Charleston Chapter #4 of The United Daughters of the Confederacy. Noted the frieze on the building. Bull and sheep heads testify to the market’s original purpose. Directions: Market Street runs right into Market Hall, and then splits into North and South Market streets, running parallel to the complex. On both sides are more craft and food shops, restaurants, ice cream, fudge, and souvenir shops. At night the market closes, but this area is still the place to be! When you reach the end of the sheds, step out the door and look to the right. That huge white building, with the fluted Corinthian columns is the Customs House, also on the National Historic Register. Begun in 1853, construction halted in 1859 and resumed in 1870. Eventually, it was used by a number of federal agencies, but it wasn’t until 1964 that United States Customs House was engraved in the frieze. See, when you visit the market, you get a view of another historic building free of charge! Charleston is such an historic city, it’s hard to know where to begin. I’ve settled that for you. Start at the old City Market! Oh, yeah, the state that produces the most rice is Arkansas, accounting for 49% of U.S. rice production. I’ve been to Charleston more times than I can count. Almost four decades of exploring the unique city. I’ve stayed downtown in the historic district, but that was over twenty years ago. This year it was time to give the downtown another go. Charleston has changed and for the better. Better restaurants. Better shopping. More restorations. Walking tours. Carriage tours. Instead of one of the big hotels, I chose a Bed & Breakfast. Staying in the historic district sets the stage for Charleston’s whole velvet touch, salty smell, and colonial charm. Also, truth be known, I have a little more jingle in my pockets. The historic district ain’t cheap. There are lots of choice Inns in The Holy City offering four-poster beds, a history dating back to when the United States was a youngster, and the convenient closeness of prime eating and drinking. None of the Bed & Breakfasts cater to the poverty stricken. Figure over two hundred bucks a night for a place to lay your head. My choice was The Meeting Street Inn. Why pick that one? Opportunity. The rest of the downtown burst with tourists. Bed & Breakfasts overflowed. In the end, I took what I could get. But, right up front I’ll tell you, it was a great choice. Comfortably elegant, and in a town not noted for an abundance of parking, there were parking spots only steps away. The bedroom at Meeting Street was all I’d dreamed of. 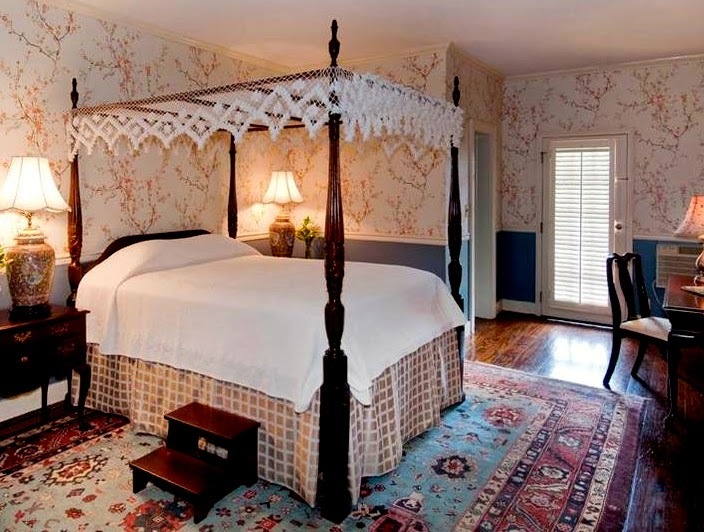 Tall, four-poster bed, and antique furniture. But, remember, this is an historic building. The floors creak, the porch slants, the elevator is tiny, and the bathroom is small. Look, either you want historic or you want a modern glass and concrete, cookie-cutter motel. Can’t have both. The room also featured a flat screen TV, polished wood floors, and a spotless bathroom. My window overlooked a delightfully shaded, brick patio, with wrought-iron tables and chairs. Across the street, greenery played against the buildings. To really see old Charleston, a central location is a must. From this Inn you can walk everywhere in the historic district. Right down the street is the nationally known City Market, which I’ll tell you more about another time. 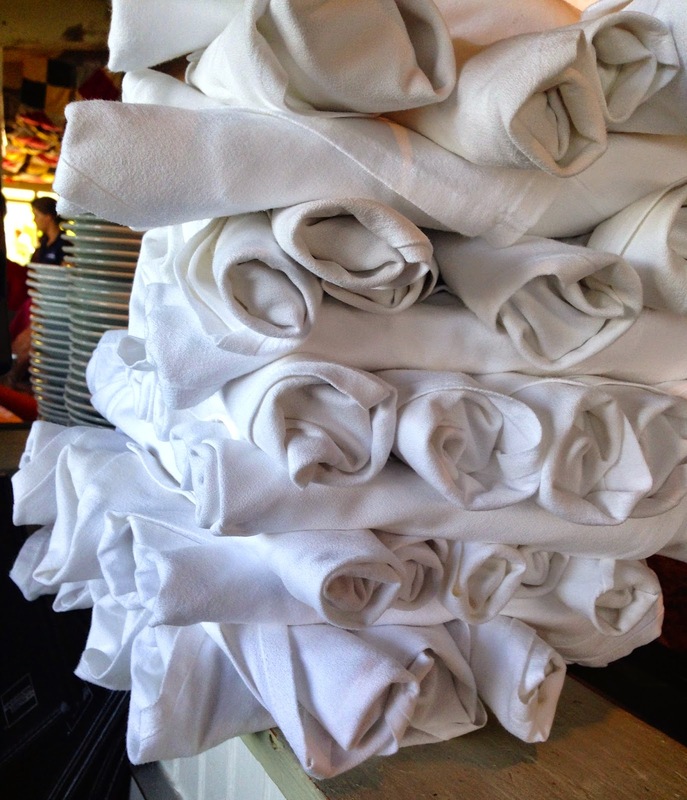 A block in any direction offers first class restaurants and notable watering holes. Antiques shops. Even a walk to Marion Square for the Saturday farmers’ market is literally no sweat. Stroll in the other direction and you can be in front of the Old Exchange, where George Washington entertained and where the Declaration of Independence was first read to South Carolinians. The basement was once used as a British prison. The building, now a museum offering tours, is a National Historic Landmark. A few blocks up the street is the famous Four Corners of Law, with solid stone buildings representing local, state, federal, and God. Each morning’s breakfast at the Inn was a treat, served buffet style, in a living room that looks every bit like an early 20th Century parlor. Lounge on a plush sofa with your coffee, or take your feast outside to the patio. The place looks as if Gatsby could stroll in any minute, old boy. The breakfast selection was both diverse and beautifully presented. The eyes are ever the pathways to the taste buds. Fruits. Yogurt. Pastries. Eggs. Meats. Lots more. This was not a packaged breakfast from Motel X; this was scrumptious fare that made you jump out of bed with a smile. On a sideboard, coffee and iced tea and ice water stood ready, day or night. Another nice thing about The Meeting Street Inn: people. The Inn’s parlor is a cluster of chairs and sofas here and there, so you end up meeting other early risers. Got into all sorts of conversations about politics and taxes, education, travel, and favorite books. One fellow from New Jersey gave me a lot of insight into The Garden State. He’s moving out and based on what he said, I’m not moving in anytime soon. Conversation is just one more thing a B & B has over a motel. When I’m on vacation, I enjoy meeting people. Everyone’s got a story. Visitors come to Charleston from all over the world. And, in the end, people are what make travel, and life in general, so interesting. Picture a city with no one there but you. I rest my case. To take it one step farther, what is history really, but what people have done, where they have lived, and what they said? Ah, but history discussions are for another day. So, what’s the bottom line? 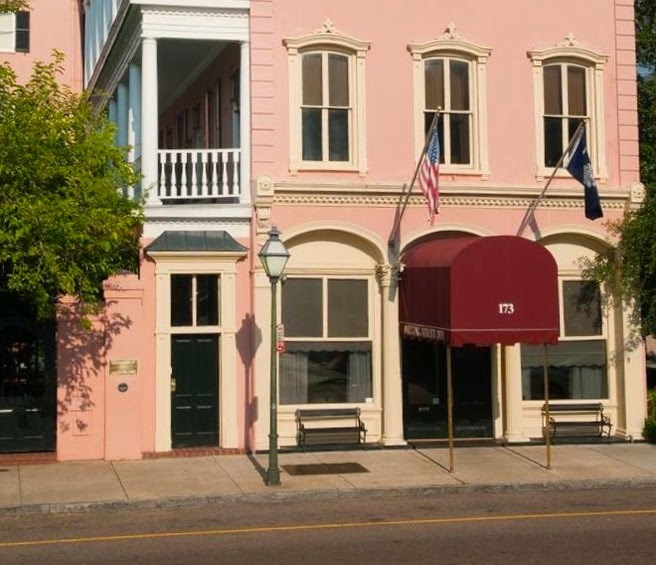 The Meeting Street Inn is a delightful place to spend a few days and wander the historic district of one of America’s oldest and most well preserved cities. Tap into the highlights of this country’s earliest years. Stroll down the street for some seafood, or a visit to the famous market. Go to the waterfront and sniff the salty air. Stop into a nightspot for an after dinner drink. When evening begins to turn back into day, curl up in your four-poster bed. In the morning, jump up for a feast of a breakfast and scintillating conversation. This is what I call a vacation. Don’t forget the name: The Meeting Street Inn. And, oh yes, there is a swimming pool. If only more businesses would take this to heart. Charleston, South Carolina. Old World atmosphere. Cobblestone streets. Architecture back to the 1700’s. Friendly folks. Ok, fine. You get the portrait of this charming older lady by the sea. What’s another word that comes to mind? Seafood. Shrimp and oysters. I raise the flag and salute both of those mainstays. But, that’s not to leave out hand caught crabs and bounteous fish and seasonal soft shell crabs. I’ve long since forgotten how many times I’ve visited The Holy City, or how many restaurants have come and gone. And not all that have disappeared were second rate. Families gave up the pressured life of serving the public. Leases lapsed. Tastes changed. Thanks to Chef Drew Hedlund, this seafood haven has caught the eye of not only Charlestonians, but national foodie magazines. Fleet Landing sits right near the old vegetable market, on the water’s edge, in the marsh, with a panoramic view of the harbor. Built by the U.S. Navy in 1942, Tradd Newton turned it into a first class restaurant in 1988. Almost thirty years later, it’s still packed at rush hour. Walk through the market, past the Old Custom’s House, and continue toward the water. Look to the right. There it is. Of course, there’s a nautical theme throughout the interior, but tastefully done. A long, inviting bar slides gracefully along one side of the dining room. Large, revealing windows make you feel like you’re on a dock, ready to put to sea. Matter of fact, if you really want the feeling of being on a dock, sit outside on the wrap-around porch. On one visit, the air conditioning was out. This was summer in Charleston and normally, a restaurant without air conditioning would be an abandoned building. With the staff prying open windows that hadn’t been opened in years, the interior welcomed the cooling comfort of a sea breeze. A hint of salty air captured the aroma of frying shrimp, creole flavors, and delicate greens. It was beyond comfortable. I ordered another Martini. This was Charleston as it should be, a historic seaport, redolent with the sea. Outside was a tranquil harbor that had once been the site of wars and home to pirates. Fleet Landing hadn’t been there for all of that, but now it is definitely a part of the glamor and the history. Over the entry, frozen in cement are the words: U.S. Navy. Inside is the spaciousness of an open restaurant, bordered by a sweeping porch, serving the best of Charleston seafood. History. Atmosphere. Spectacular food. Fleet Landing has it all. No wonder it’s my first choice, every time.